Do you miss Music With Friends? Because we sure miss rockin’ with you! And we’d love to have you back as we welcome one of the most awarded singers in Music With Friends history to the McGlohon Theater stage—join us Monday, October 1st for Alison Krauss! For years Alison Krauss has polled at the top of the Music With Friends Artist Poll, and we are so thrilled to have landed one of our members’ all-time favorites for our 2018 lineup. 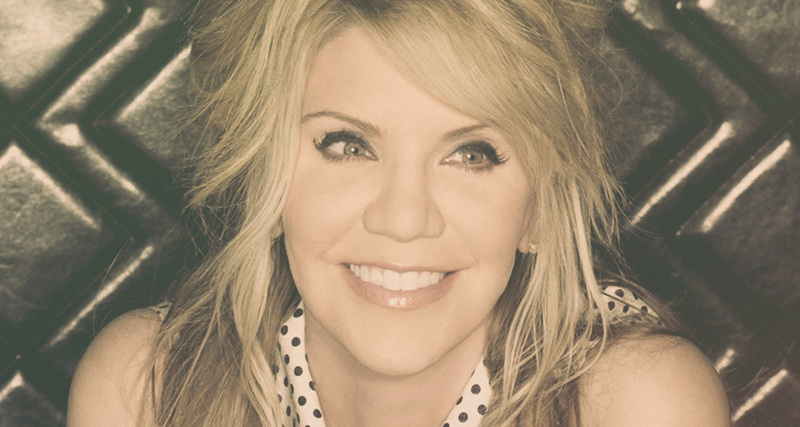 As we’re sure you know, Alison Krauss is one of the biggest names in music—she’s received 27 Grammy Awards (from 42 nominations! ), nine Country Music Association Awards, 14 international Bluegrass Music Association Awards, two Academy of Country Music Awards, and two Gospel Music Association Awards. Needless to say, this woman is a true musical icon and we are so excited to experience her award-winning tunes with all of you this fall. So, mark your calendars for October 1st and prepare for an unbelievable show, because Alison Krauss is set to perform with a mix of artists from her Union Station band and others who have shared the stage with acts like Willie Nelson, Dolly Parton, BB King, Robert Plant, and more.